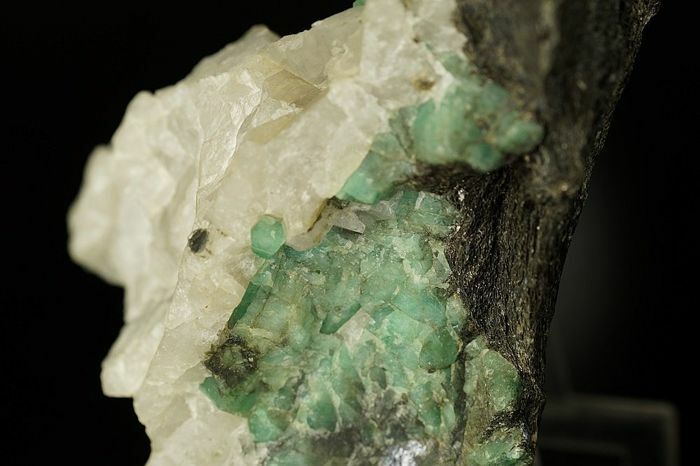 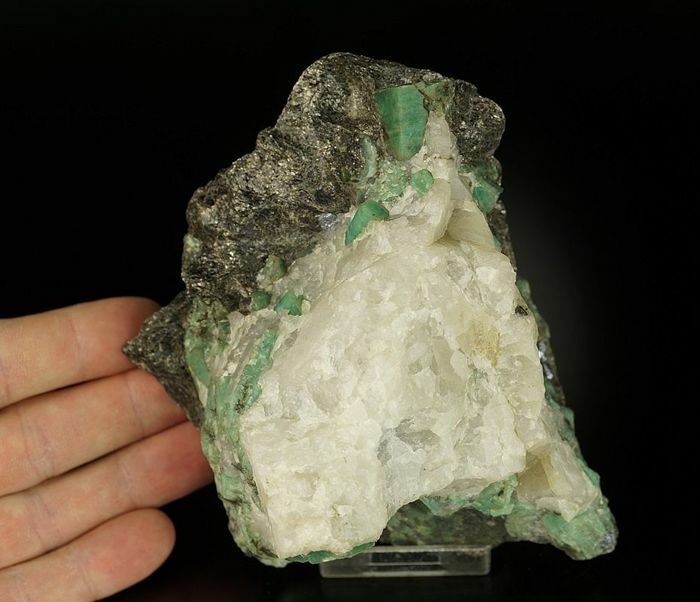 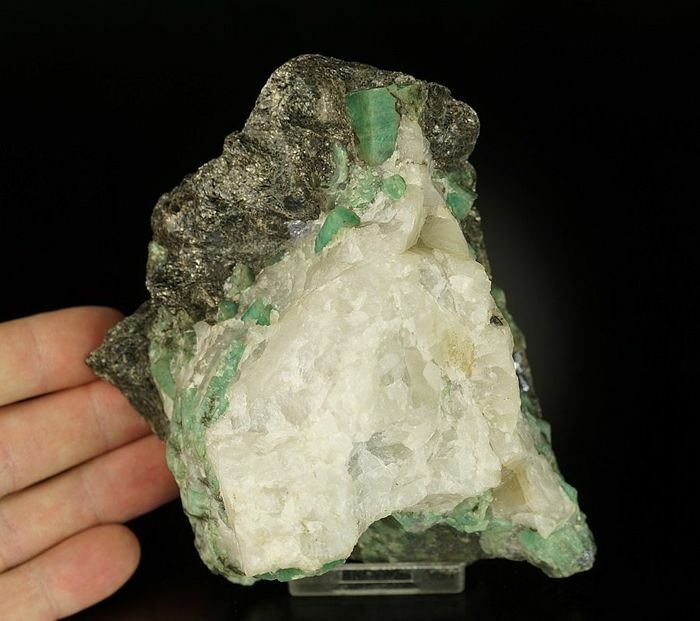 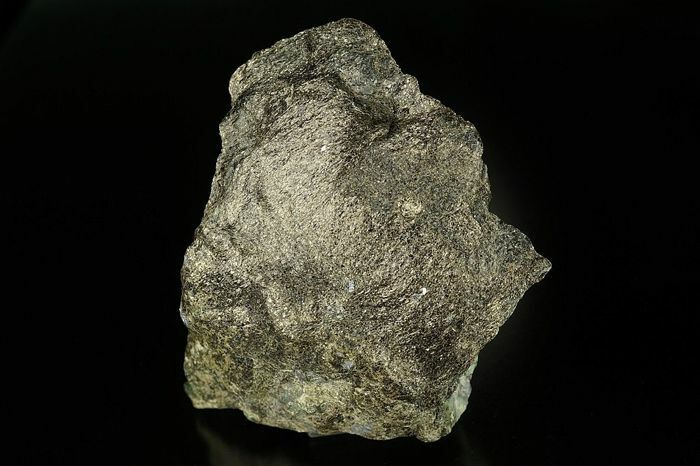 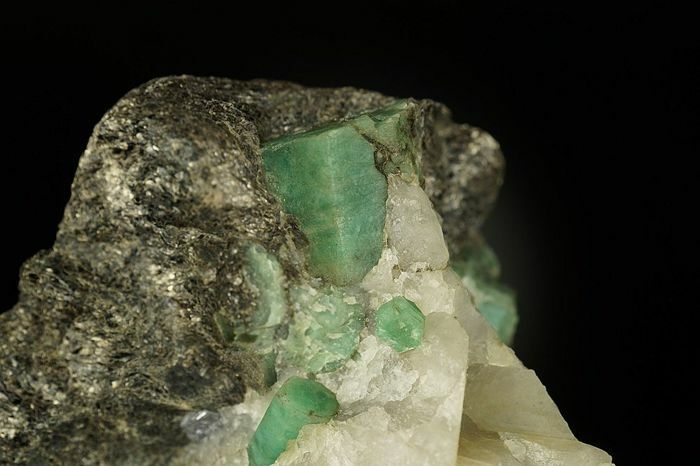 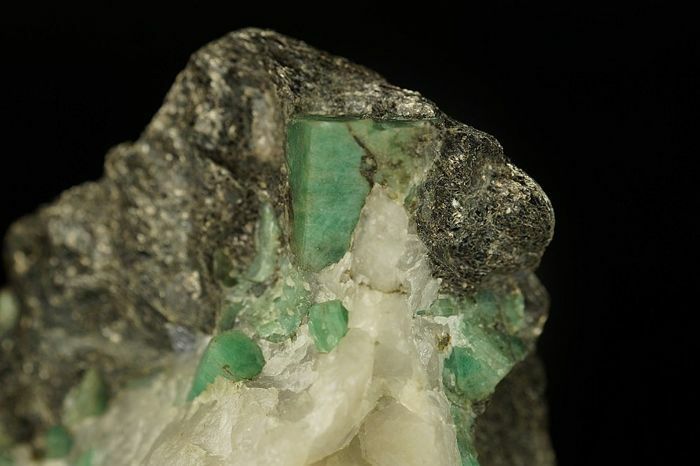 Natural beryl var emerald crystals in matrix from Brazil. 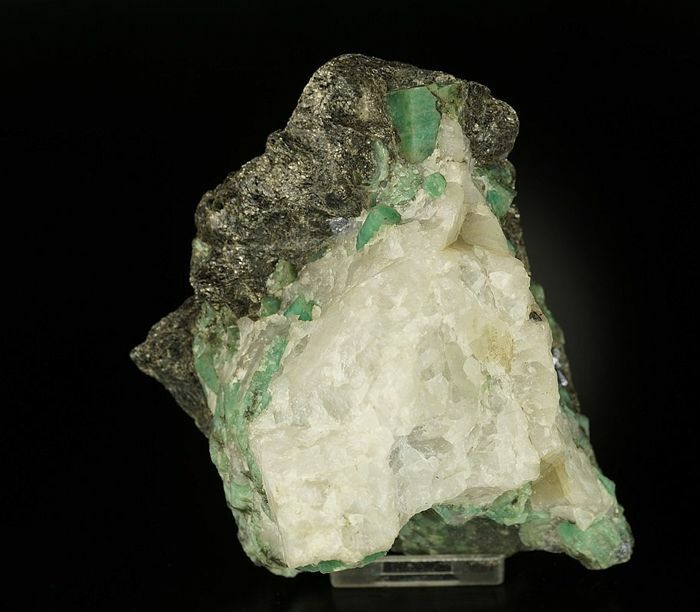 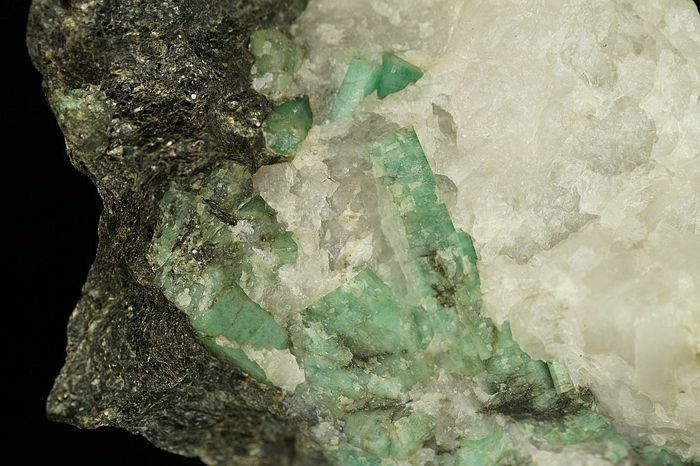 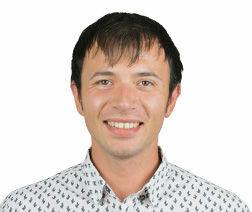 Crystals are well formed with deep green color. 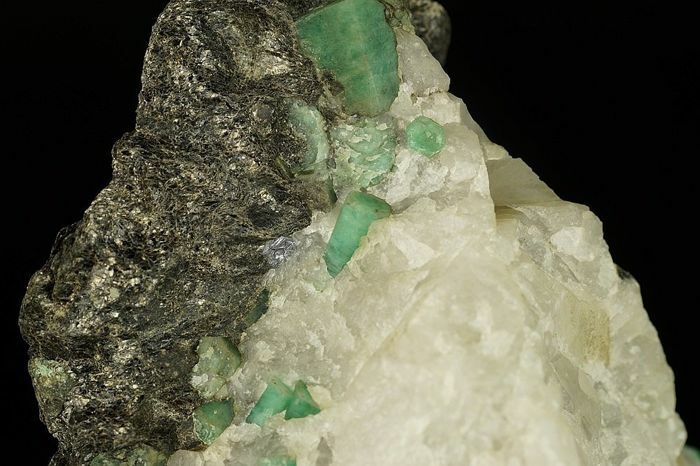 Crystals are big.